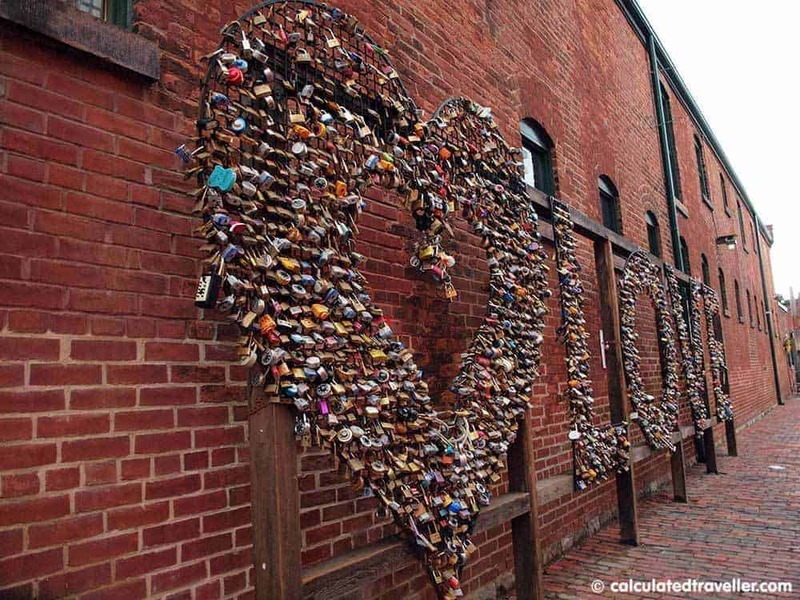 There are many ways to experience the Distillery District – Toronto’s famous historical and entertainment precinct. You could catch a show, grab a coffee, gelato, or beer, or check out some of the many art galleries and designer stores. But I think the most unique way of experiencing the Distillery District is in style – by Segway!! I had the pleasure of taking a short tour of the Distillery District with Segway of Ontario, and WOW was it a lot of fun. Not only was it my first time riding a Segway, but it was such a cool way to see the sights of the Distillery District. 10 Years of Segway Fun! 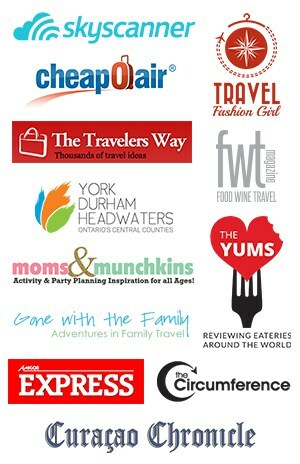 25,000 Tours of Experience! Our tour started with training. They were just celebrating their ten years of Segway tours in the Distillery District, so I had complete trust in their experience! Our guide, Gavin, led us through the basics of a Segway, and we got to practice a bit in a larger open space outside of the store. While I have little experience snowboarding, skiing or skateboarding – which are similar movements in shifting your weight to control movement – I didn’t find riding a Segway too difficult once I got the hang of it all. Gavin instructed us with how to get on and off the Segway, how to move forward and backwards, and even got us to do a speed test so that we could know exactly how fast a Segway could run. He was hilarious, helpful and patient, and the entire staff of Segway of Ontario just seemed like really awesome people in general. Their logo is a super-fly gorilla riding a Segway, so that is probably the first sign of how fun and awesome this tour company is! As we got into the tour, Gavin kept the travel between each spot along the route fun and engaging. Because it was just the two of us on tour, he took the time to take us to some interesting picture-worthy spots so that we could pose for the perfect photo. 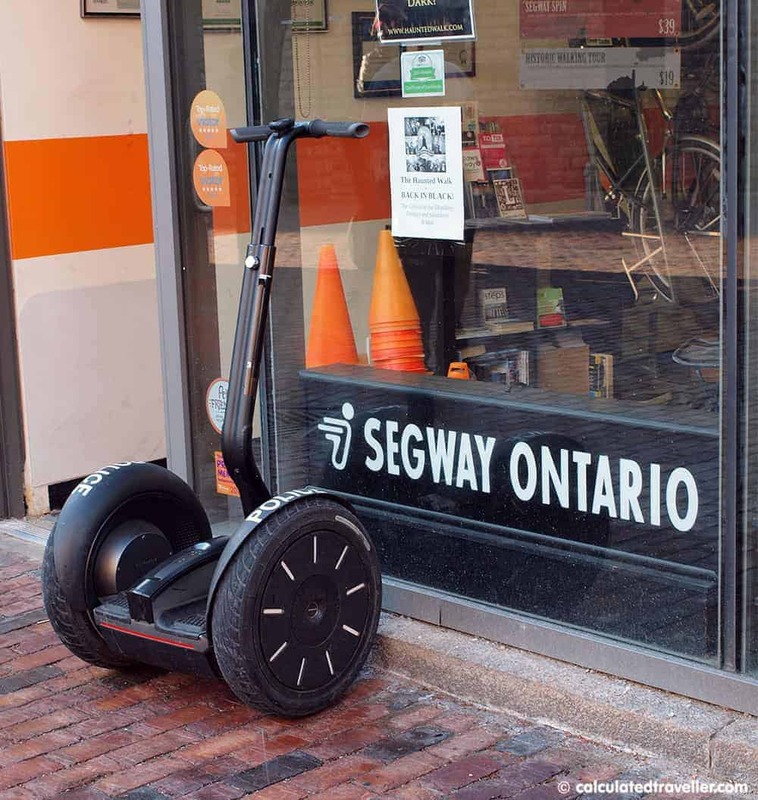 Segway of Ontario typically offers several preset tours, ranging from 30 minutes to an hour in length, and cover the history of the district’s architecture, stories of prohibition, explosions and cholera that occurred in Toronto’s history. They also have specialised tours to match the season such as ghost stories in the fall, as well as winter-themed tours in the winter on foot, because while they’re experts in all things Segway, they’re also really great tour guides knowledgeable about the area! All in all, I was very impressed by this experience. I learned a lot of new things about the architecture of the Distillery District, as well as a few fun facts about the Gooderham and Worts Company. Next time, I want to give their off-terrain Segway tours up in the north of the city, as well as their newly announced walking tour on Prohibition and Whisky! Have you ever taken a Segway tour? Ever been to the Distillery District? I want to hear about your fun tour experiences! This tour was provided courtesy of Segway of Ontario; all opinions are my own. 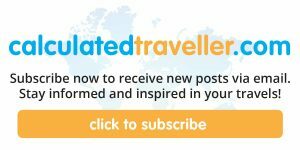 Check out their website for other unique tours around the city and the world. Looking for more Toronto adventures? What a unique way of touring the Distillery District – looks like a lot of fun.